View More In Athletes Foot Remedies. This antimicrobial & antifungal ointment balm is packed with Organic Tea Tree Oil (Antimicrobial, Anti-Fungal), Peppermint Oil (Antimicrobial), Wintergreen Oil (Analgesic, Anti-inflammatory), Vitamin E (hydration, antioxidant), Emu Oil (Anti-inflammatory, Anti-Fungal), Babassu Oil (Moisture), Grapeseed Oil (Antioxidant, Moisture) and Shea Butter (Moisture). This 8-active balm is rich in antimicrobial, anti-fungal & Anti- inflammatory properties which have an amazing healing effect on itchy, dry hands, feet and body. Excellent for active kids, teens and adults. Stay on ointment formula promotes faster recovery. All-natural ingredients. Contains zero fillers. Quick relief of your itchy, burning, scaling, red, cracking, sore, chafing and irritated skin. This antimicrobial & antifungal ointment balm is packed with Organic Tea Tree Oil (Antimicrobial, Anti-Fungal), Peppermint Oil (Antimicrobial), Wintergreen Oil (Analgesic, Anti-inflammatory), Vitamin E (hydration, antioxidant), Emu Oil (Anti-inflammatory, Anti-Fungal), Babassu Oil (Moisture), Grapeseed Oil (Antioxidant, Moisture) and Shea Butter (Moisture). This 8-active balm is rich in antimicrobial, anti-fungal & Anti- inflammatory properties which have an amazing healing effect on itchy, dry hands, feet and body. Excellent for active kids, teens and adults. 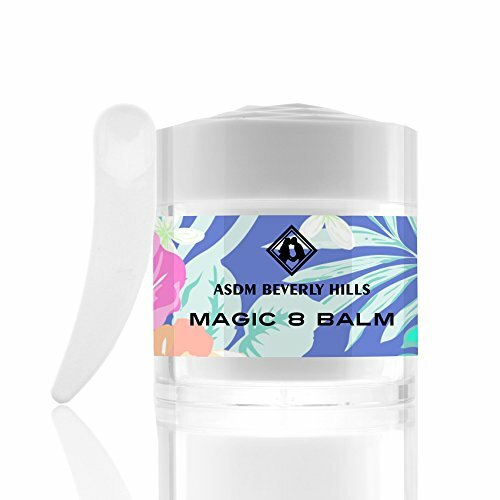 If you have any questions about this product by ASDM Beverly Hills, contact us by completing and submitting the form below. If you are looking for a specif part number, please include it with your message.